Canadian kids’ content company DHX Media has brought in a former Paramount and Disney exec to oversee its animation studio. 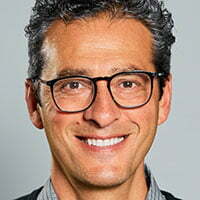 Amir Nasrabadi is joining the firm as executive VP and general manager of the Vancouver-based studio. Nasrabadi will start the newly created job on June 10, reporting to company president Josh Scherba. He will oversee all production at the studio, leading the animation team in working closely with DHX Media’s creative, content and brands teams. The industry veteran brings 20 years of experience in production, operations, finance and strategy in animation and visual effects to the role. Most recently, he was executive VP of finance and operations for Illumination, the prodco behind such global hits as Despicable Me, Minions, The Grinch and Sing. Prior to that, Nasrabadi was senior VP of production at Paramount Animation, before which he spent 15 years with The Walt Disney Studios, where he was VP of finance and operations for DisneyToon Studios. In 2009 he launched and ran Pixar Canada in Vancouver.